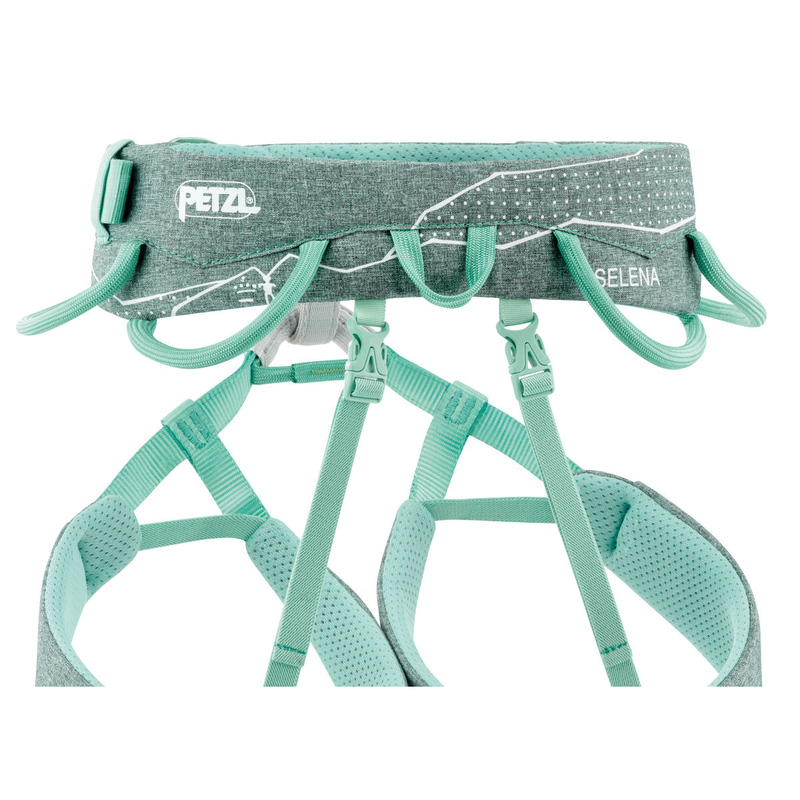 The Petzl Selena Women's harness is a sassy yet secure harness that is perfect for sport climbing routes. 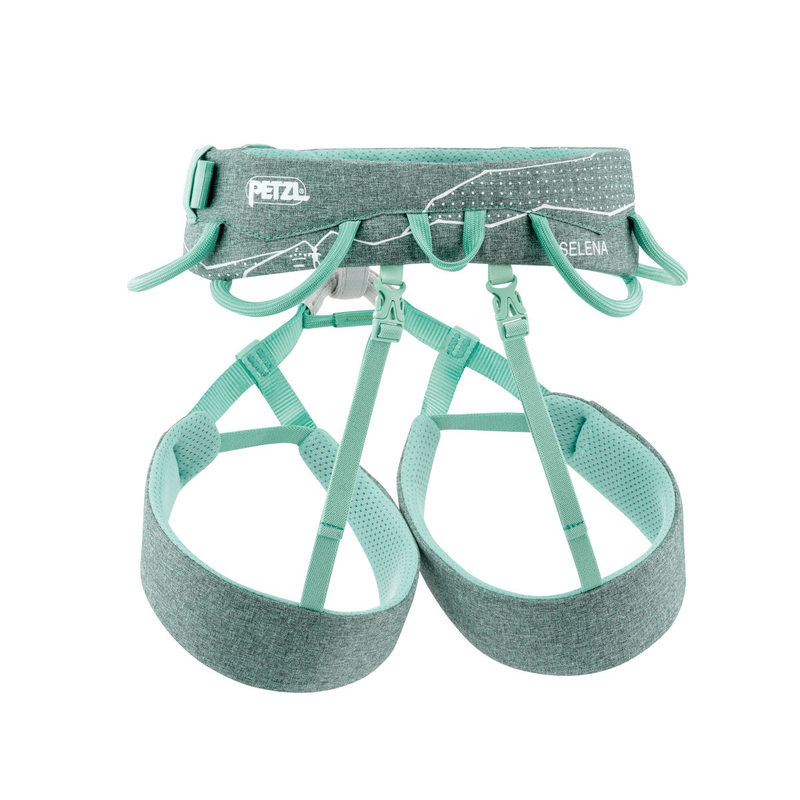 A harness that sits comfortably, the Petzl Selena Women's harness is constructed with Endoframe Technology to distribute weight evenly around the waist the legs, to give an intuitive feel against the body. Ultimate flexibility is offered through the fitted elastic leg loops, and the waist is easily adjustable thanks to the DoubleBack Light buckle. Whilst climbing, rope friction is reduced during use with the harness due to the high-tenacity polyethylene tie in points. If you are also ever concerned as to when to renew your harness after lots of wear and tear, there is a red wear indicator on the lower bridge to tell you exactly when. 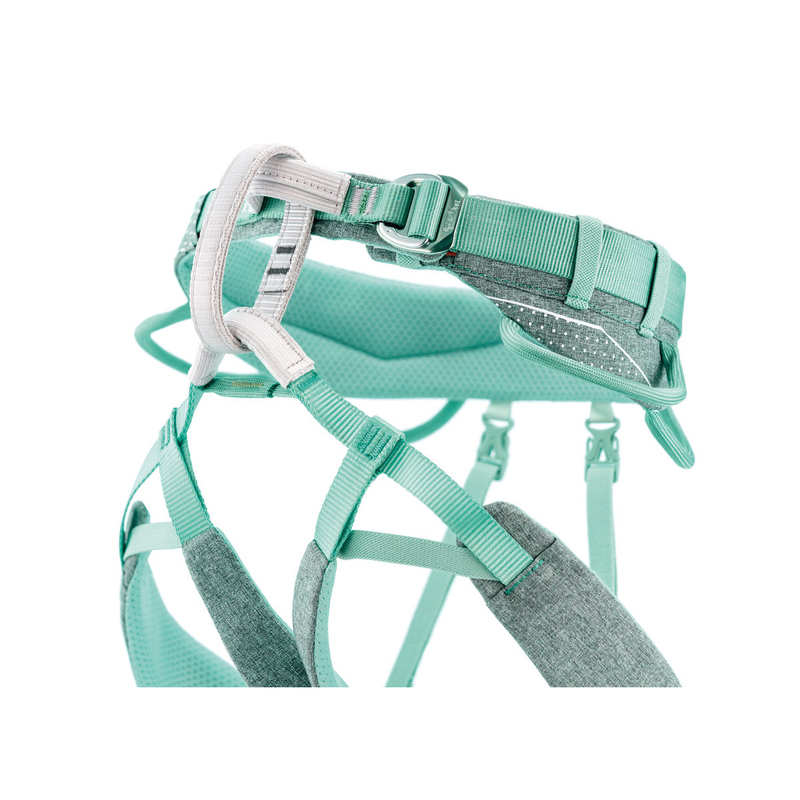 Comfortable, versatile and supportive to the female form - a great harness for women climbers. This Petzl harness is very light and stirdy. It's a great quality piece of equipment for a beginner, because it's very simple to use and doesn't have many details that will make it complicated. I prefer the Luna harness although it's a little heavier, but I appreciate the fact that it is more adjustable, which makes it more versatile also for the winter alpinism, when you're wearing more layers. 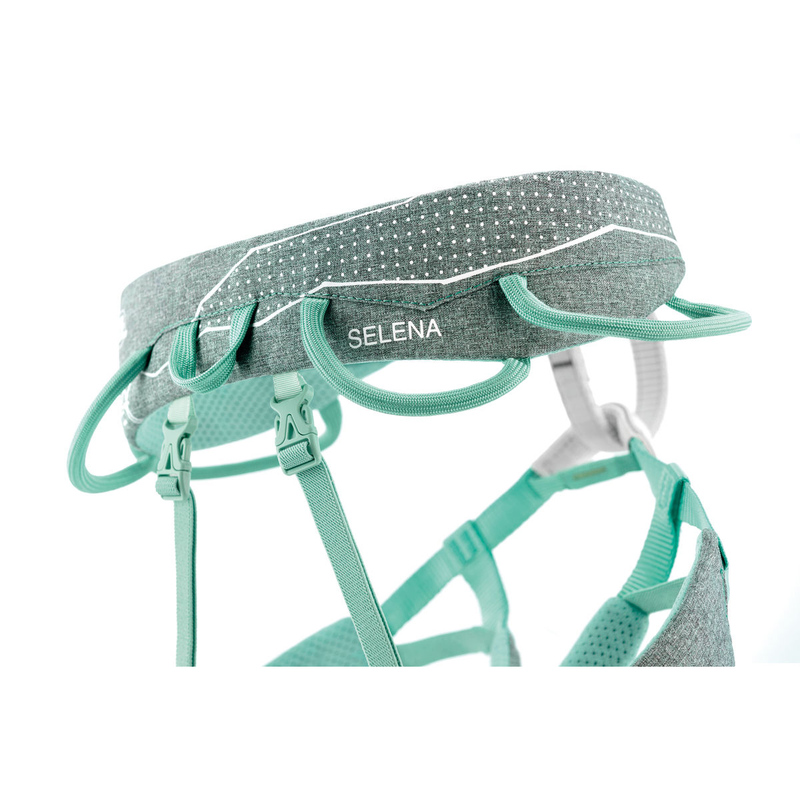 The Selena harness is perfect in the summer and definitely for crag climbing. I do like this harness - the only gripe I have is that the doubled back waist tape can slip through the buckle pretty easily (which hasn't happened on other harnesses I've had). Other than that it's comfy and the gear loops sit in the right places. So far, I've only used this sport climbing.